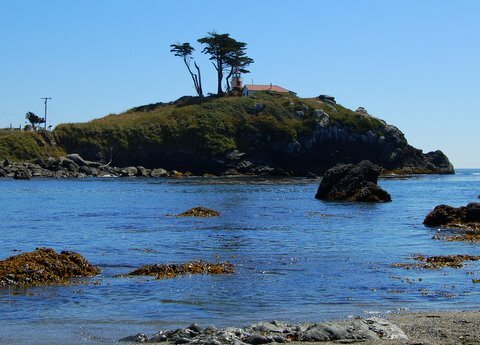 Tucked way up in the northwestern corner of the state is a different kind of California. Different from the palm tree fringed and sunshine soaked beaches of Southern California. Different from the rowhouse filled hillsides of San Francisco. Different from the cropped studded farm belt of the Central Valley. This California is home to tall trees living along a fog shrouded coastline. This California is sparsely populated by people but inifinitely canopied in green. This California is rugged, remote, and beautiful. This is the Redwood Coast. If you were to arrive at the beach across from the Battery Point Lighthouse during high tide, you would think the only way of reaching this Crescent City landmark would be via boat. However come low tide, the sea retreats and leaves a path to the beautiful Cape Cod style lighthouse, which has been leading ships to safe harbor since 1855. The views from the grounds surrounding the lighthouse are incredible and tours are offered inside the lighthouse for a small fee. Be sure to explore the beach across from Battery Point. The rocks are great for climbing, the sand is fun for sandcastle building, and the shores are perfect for beachcombing. Tucked back in a small canyon less than a mile from the beach is a spot in Prairie Creek Redwoods State Park that seems almost too beautiful to be real. 50 foot walls covered in ferns surround a quiet little creek, creating a lush and peaceful atmosphere. 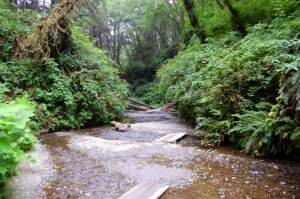 The hike through Fern Canyon is a short and easy one mile walk amongst moisture loving flora and across tiny wood plank bridges. The scenery so stunning that it was used in the movie Jurassic Park 2. 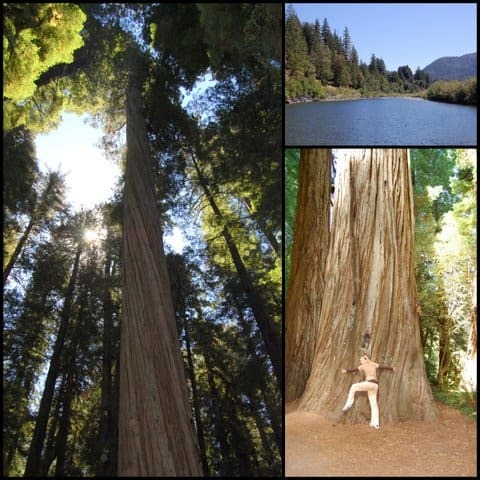 No trip to the Redwood Coast would be complete without a stroll through this very special place. One of the more unexpected California beach experiences is coming face to face with a Roosevelt Elk. After being hunted to near extinction, Roosevelt Elk are making a comeback on the Redwood Coast. These majestic animals are often spotted on the sandy bluffs and in the meadows of the surrounding area. Keep your distance, especially in autumn when love is the air and rutting season is in full swing. This magnificent grove of old growth redwoods resides within the northermost range for the species, close to the Oregon border in Jedediah Smith Redwoods State Park. The Stout Grove contains many trees which scrape the sky at dizzying heights, including the bulkiest known coast redwood, the Stout Tree, at 16 feet in diameter. The crystal clear Smith River runs alongside the grove providing the perfect spot to have a picnic or skip rocks while gazing out at the tall trees. Enjoy a ten mile ride along one of the most beautiful roads in all of the Redwood Coast. 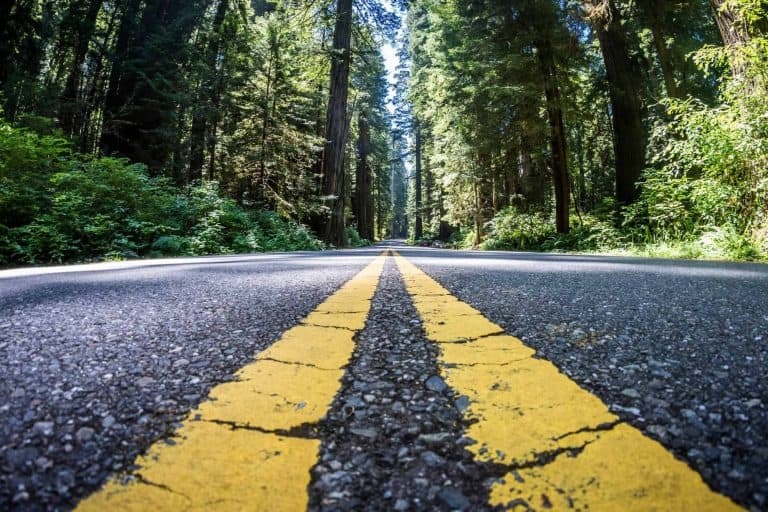 This scenic parkway is an alternative to Highway 101 which takes you into the old growth forests of Prairie Creek Redwoods State Park. Be sure to pull over a few times along the route so you can gaze up and take in the dizzying heights that these behemoths reach. Take time to stroll along one of the numerous trailheads that run through the area and enjoy a piece of the last remaining 5% of old growth redwood forest. So glad I found your suggestions here! Thank you! Looks like fern canyon is a must see. Do you have any recommendations of places to stay close by? We have three little ones so a clean hotel would be our first choice, although camping might also be an option. We will just have one night to spend in this area, so any recommendations would be greatly appreciated! Also, where are the best big redwoods to see? Thank you! Im trying the Koa campground with a cabin that has a private bathroom, refrigerator, microwave and sink. $114.00/night but better than a 2 star hotel room with bad reviews. This is located in Crescent City, Ca. Very close to the Redwoods. Let us know how it went, Louette! Would love to hear your review on Trekaroo! !